Skincare and beauty has always been a huge part of my life. It started back when my great grandmother started living with us. She would spend 45 minutes to an hour every night taking off her makeup. Rubbing creams, oils, and serums all over her face. She had the most delicate skin and aged perfectly.. She would always spend time telling me about different brands, why she used the products, and exactly what they were for. Some of my favorite memories are of her are when she was sitting in front of her vanity putting on her "face" or curling my hair to make me look like Shirley Temple. Fast forward some years later, right after I had my son, I was diagnosed with Psoriasis, an autoimmune disease that speeds up the regrowth of skin cells and causes dry, red, flaky patches on your skin. I think I tried everything on the market. Shots, topical, by mouth. Nothing worked. It was so super stressful and annoying. I had enough with being on prescription meds all the time with no relief. I knew I needed to revamp my skincare and start taking better care of myself. Enter LimeLife by Alcone. The very first product I tried was the Enduring Lip Color. Long lasting, amazing color, goes on like a gloss and dries matte. So good! I couldn't love it more! A dear friend presented me with the opportunity to become a beauty guide for the company. And at the time, I just didn't think I could pursue it. I learned quickly that this company was made for families like mine. Fast forward four months, I tried a little bit of everything and had purchased my fair share of products and absolutely loved them. I tried LimeLife's Forty Cure Cream, y'all the rest is history. My psoriasis cleared up completely within a few weeks. The best part about this incredible company is the fact that their makeup is professional grade and they have slowly started switching over to a paraben free formula. The ingredients list on most of the products we were using daily, were not good! With that being said, I am excited that I can use these products (especially the skincare) without any irritation and is a safer alternative for both myself and my family. The Forty Cure Cream along with the other skincare products are free of harmful chemicals, and are made from natural ingredients. I am so excited about the aspect of using safer products on myself and my kids. As a parent, I am always SO worried about my children: what products they use on their bodies, what they eat, etc. It's so nice not having to worry about that with LimeLife, and is perfect for us in that sense. My kids have been stuck with my families crazy skin, and I am relieved to be able to incorporate these safe products into our daily routines. Bath time, diaper changes, and fun in the sun! 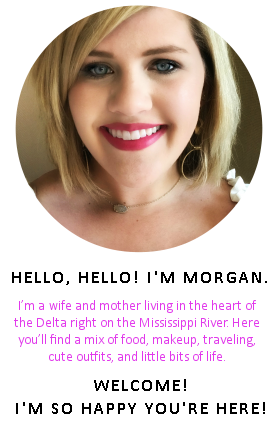 All of this to say, I am so happy to bring you along my LimeLife journey and can't wait to share some of my favorite products and makeup looks with you!